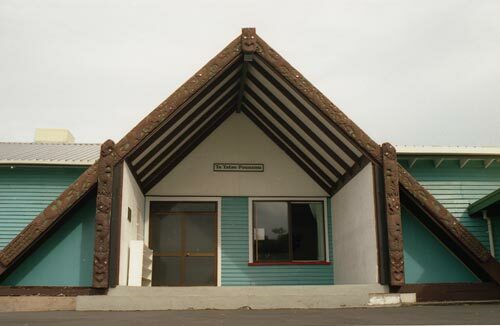 The name of this Auckland marae is taken from the lines of a popular Tūhoe waiata, ‘Tēnei te tira hou, tēnei te hara mai nei’, which means ‘Here is the new travelling party coming along’. The marae has been a place of refuge for many young Tūhoe who moved to Auckland seeking work. In November 2003 the marae celebrated its 30th anniversary and many former members attended, some coming from as far away as Australia.